By using our hybrid solutions, you increase the performance of your measurement and automation process! The optimal use of hardware and software technologies on one single platform enables maximal performance for your measurement and automation system. 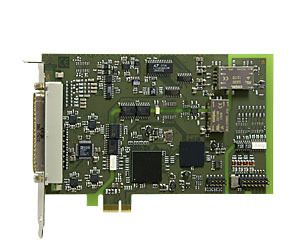 ADDI-DATA offers various interference-free hybrid-PC-boards with FPGA module and compact hybrid-embedded-systems. The MSX-Box is the ideal complement to the hybrid PC boards. It will increase the efficiency of your applications even more.